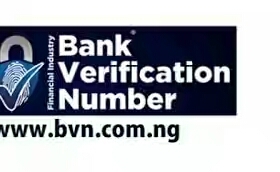 Bank Verification Number- BVN was put to place by CBN with the sole aim of ensuring transparency, better security and to make easy and simple assessment of data in accordance. That is, the very way the should be) with best practices in the developed countries. This idea is really welcomed by Me, I think like it, since security on banking would change hands and that of the other implemented services. Just to see that our banking is made easy and save. Although the very BVN number is 11digits, meaning I need to have it off hand unlike my bank account number, that is not up to 11digits. But that is never a problem, since Its existence keeps my bank account save and secured. So, it is a welcomed development. The welcomed development brought to us by CBN can be used in various ways. It is demanded whenever one wants to withdraw his/her money from the bank. You might forget to save the BVN 11digit, or you crammed it off hand. But due to the fact that human brains fails sometimes, you forget it. And then, it is needed urgently, but you are not with the digits. The question now becomes, what do I do now to get this BVN digits? This is where your mobile phone comes in, as you check your BVN offline with just a dial on your mobile phone. To check your bank verification number using your phone having that, the SIM inserted on the phone is associated with your bank account. Then simply dial *565*0#. Note: whether you are banking with Zennith bank, Eco bank, Diamond bank, UBA bank, First Bank, Fidelity bank, etc Any bank at all that you know well, you registered your BVN with. The code above works on all for displaying your Bank Verification number which is 11digits. Now, even if your brain failed or you misplaced it where you saved the digits, you don't have to worry since with just a dial, your BVN will be smiling at you wherever you are at a point in time.